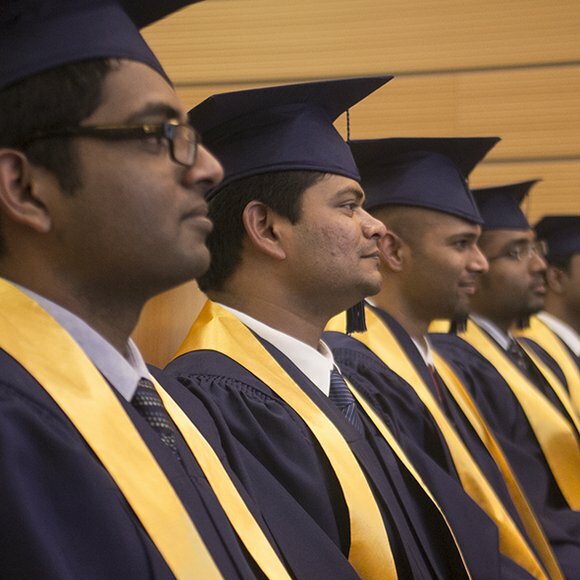 The "German-Indian Management Studies" MBA program is exclusively dedicated to Indian Engineers who are interested in fostering Indo-German trade relations. The GIMS program can be the key to a bridge-building management career in Germany, India or throughout the world. India and Germany have been vital trading partners for a long period of time. German companies in India or Indian companies in Germany require a specific qualification profile for potential employees in management positions. Technical product knowledge paired with core business skills and know-how of marketing principals are essential. Besides that, it is imperative to have an in-depth intercultural understanding of the business operations in these two regions. The "German-Indian Management Studies" MBA program has been awarded the Global Award of Educational Excellence. Kindly use our contact form if you are looking for further information about the Master's program "German-Indian Management Studies".